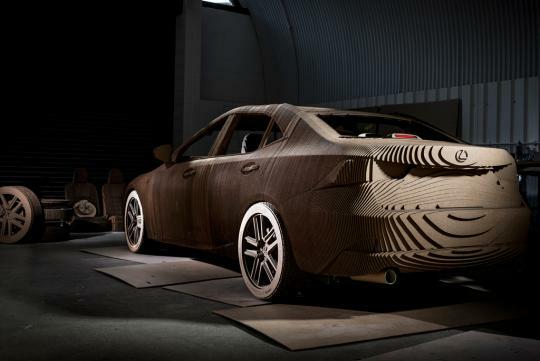 The skilled men and women – known as takumi – who work on the Lexus production lines, hone their dexterity skills by learning how to fold paper into an origami model cat, using only their non-dominant hand. 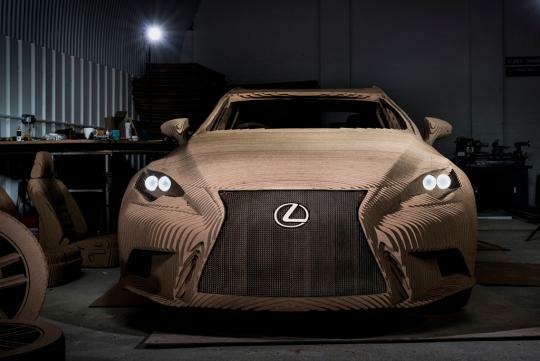 The Origami Car takes the spirit of this talent to a far higher level, while also embracing the spirit of Lexus's Creating Amazing global brand campaign. 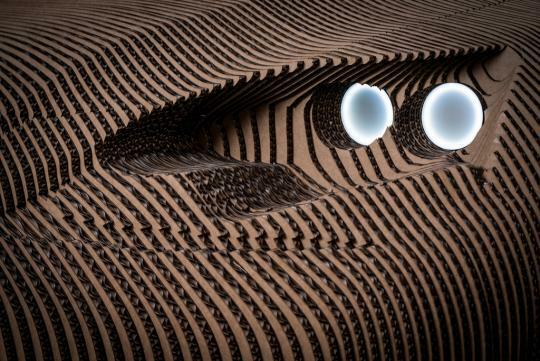 The Origami Car has a fully fitted interior, functioning doors, headlights and rolling wheels. Thanks to an electric motor mounted on its steel and aluminium frame, it can even be driven. 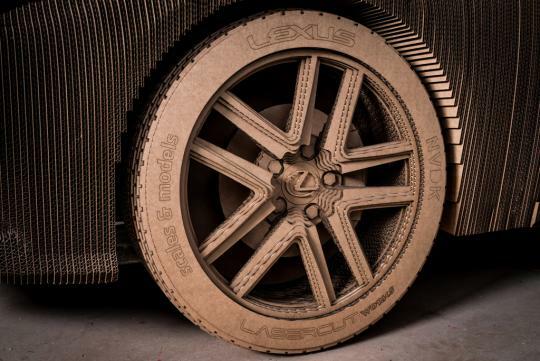 In terms of size and complexity, the project was an unprecedented undertaking for LaserCut Works and Scales and Models, UK-based specialist companies with extensive experience in the design and creation of prototypes, architectural models and bespoke commissions. 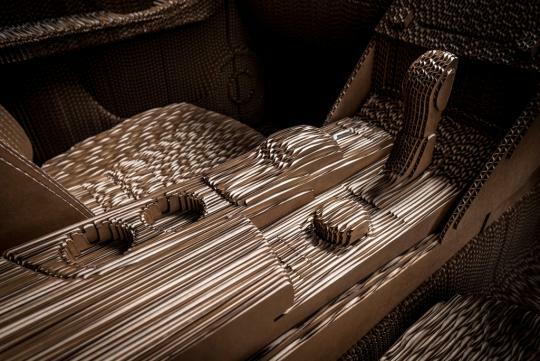 The creative process presented the team with a series of tough challenges: "The seats took a few attempts to get just right and the wheels required a lot of refining. Once we could see the physical pieces taking shape, we could identify where we needed to make improvements – as with anything, there were some elements of trial and error, but as we had all the resources we needed in-house, this made the changes easier to produce." 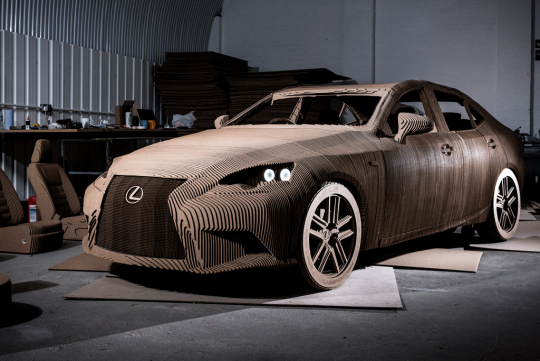 Lexus provided the team with a digital 3D model of the IS, which was then divided into a series of principal parts, such as the main body, dashboard, seats and wheels. 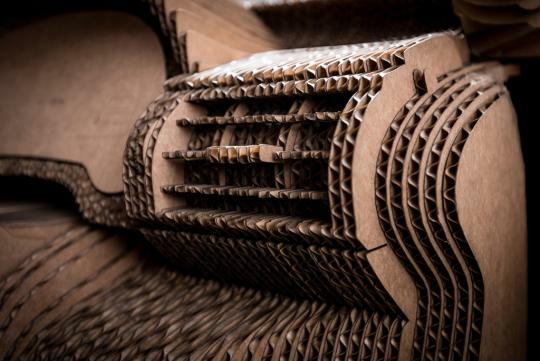 These were then digitally rendered in 10mm "slices" to provide the two-dimensional profiles needed for the laser cutting of each of the 1,700 sheets of 10mm-thick of cardboard – supplied by packaging experts DS Smith. Each layer was given its own reference number to help ensure it was assembled in the right sequence and the entire assembly was done by hand.  A water-based/wood glue was used, which had to be left to set for 10 minutes after each application. Accuracy was vital, as changes couldn't be made once the glue had dried. 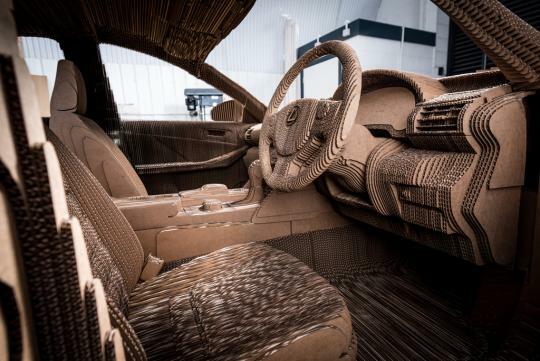 In all, the Origami Car took three months to build.